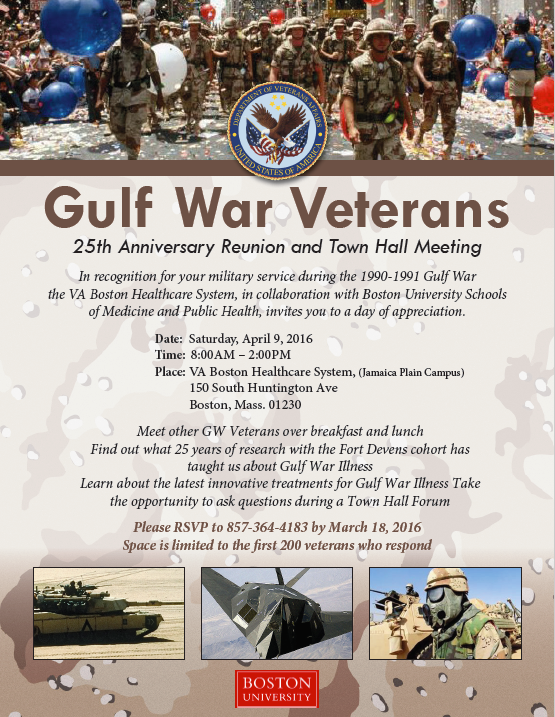 (91outcomes.com - April 9, 2016) - Today's Gulf War 25th Anniversary commemorative and outreach event at the Jamaica Plains VA medical center in Boston, Mass. was a resounding success. Nearly a hundred Gulf War veteran attendees, and loved ones, healthcare providers, a myriad of Gulf War Illness researchers, VA and state veterans agency officials, veterans service officers, and even a local mayor filled the event to capacity. Included were presentations by the Boston VA Healthcare System, Gulf War illness researchers, the Massachusetts Department of Veterans Affairs, and Veterans for Common Sense, and a deeply engaged town hall meeting on Gulf War veterans' issues. 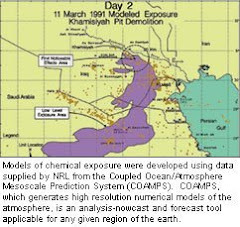 The presentations from the event are posted below. 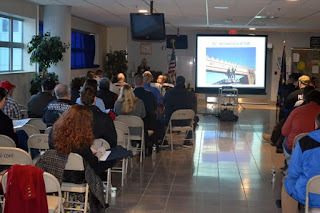 A Boston University article about the event, with photos, is here. 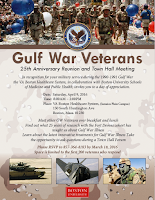 Special thanks to event organizers and hosts Dr. Carole Palumbo, Tom Allen, Dr. Roberta White, and Dr. Terry Keane, and to the many, many speakers, information and outreach providers, VA staff, and most of all the many Gulf War veterans who were willing and able to participate for the full Saturday event. 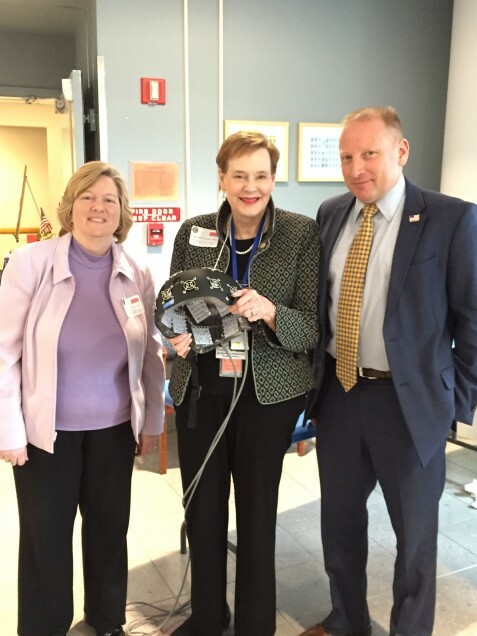 "Complementary and Integrative Approaches to Post-Deployment Distress," by Dr. Barbara Niles and Dr. DeAnna L. Mori, VA Boston Healthcare System/Boston University School of Medicine. 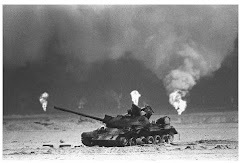 "Gulf War Veterans’ Illnesses Biorepository Brain Bank," by Tarnjit "Tannu" Singh, M.A.